A great way to explain biology to elementary and early, middle-school age children is to get them cooking. In particular, baking bread is a fabulous way to introduce children to biology. Yeast, which is the ingredient in bread that makes it rise, is a fungi. Proofing the yeast brings it to life and sets off a series of biological functions. If the yeast reactions are lacking or missing, you end up with flat bread or matzo, not a loaf of bread. This lesson plan helps students design a set of criteria to determine if a something is alive. To demonstrate how yeast works, all you need is two cups of warm water, two to three tablespoons of honey, one package of fast rising yeast, a 22-ounce plastic soda bottle, and one well-stretched medium balloon. A funnel may be helpful as well. This demonstration will last more than one day. Have the students write a hypothesis about what they expect to happen, and explain that they should take daily notes. A detailed, constructed response should be written at the end of the demonstration. The amount of detail required should be within the expectations of the students’ grade level. To start, completely dissolve the honey into the water. I like to use honey as it dissolves faster and does not precipitate out as sugar sometimes does. Pour the water and honey mixture into the bottle. Use a funnel if it will make the pouring easier. Next, add the yeast to the bottle. Place the balloon over the top of the bottle and keep it in a warm place but out of direct sunlight. Observe the bottle several times a day over the next few days. You should observe the yeast starting to foam up within ten minutes. As the yeast starts to foam, the balloon should begin to inflate. Observe the reactions of the yeast over the next few days. After several days, remove the balloon and let the students smell the mixture. There should be a definite foul smell. The odor is the result of the digestion process. As yeast eat and digest the honey mixture, they excrete. The gas they produce makes wonderful light and airy bread. However, when left in a soda bottle, you have a malodorous gas that smells somewhat of methane and sulfur. If there is a microscope available, you may want to have the students view the yeast under the microscope before and after the demonstration. What causes the balloon to inflate? Is yeast alive? How do you know? What do you think is happening in the soda bottle? Why? Did the demonstration support your hypothesis? In what way? If not, where was the discrepancy? After the demonstration, use an easy bread recipe and make two separate batches. Bake one batch with yeast according to directions, and bake another identical batch except omit the yeast. Compare and explain the results. Does the prior demonstration support what happened with the two loaves? How? Would the results be the same if you removed the sugar or honey from the recipe? Why or why not? Would the amount of yeast used affect the outcome of how the loaves baked? What would happen if you doubled the amount of yeast? Explain. 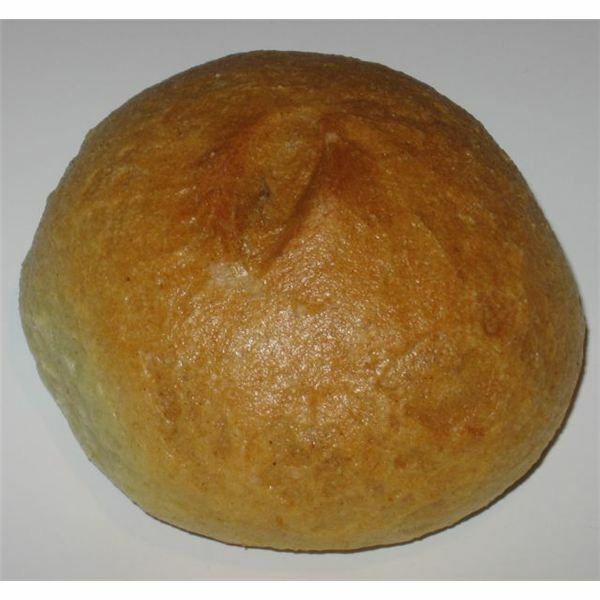 Baking bread is a simple, yet effective, way to reinforce concepts learned in the demonstration. When all of the senses are incorporated into teaching a lesson or concept, students retain more of the information presented. We all relate to food on a very primal level. Associating biology concepts with baking bread reinforces the concepts in at least five ways. This is a tasty and fun way to teach biology. Author’s own experience as a Christian educator.